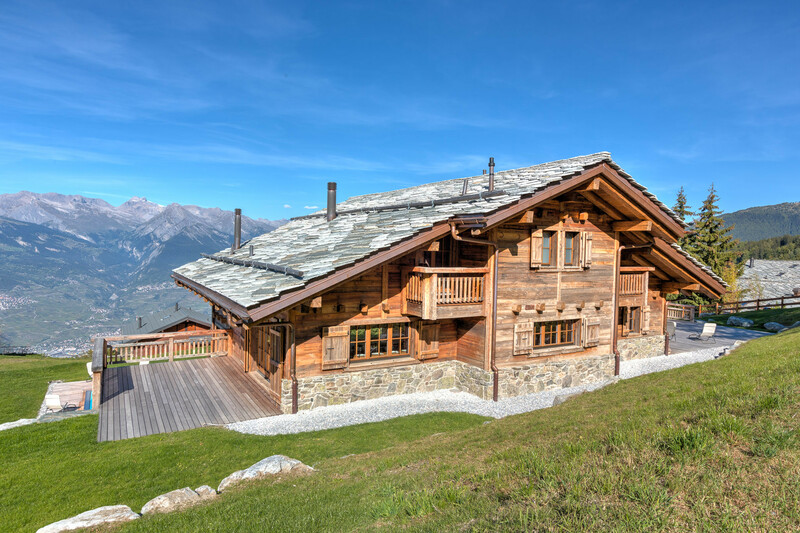 Chalet Adey is a luxury Swiss alpine retreat located in the exclusive “les Cleves” neighbourhood of Haute-Nendaz, 200m above the village centre. It borders the “Jeane-Pierre” ski slope, boasting easy ski-in, ski-out access and only a short ski to the resort’s main telecabin. 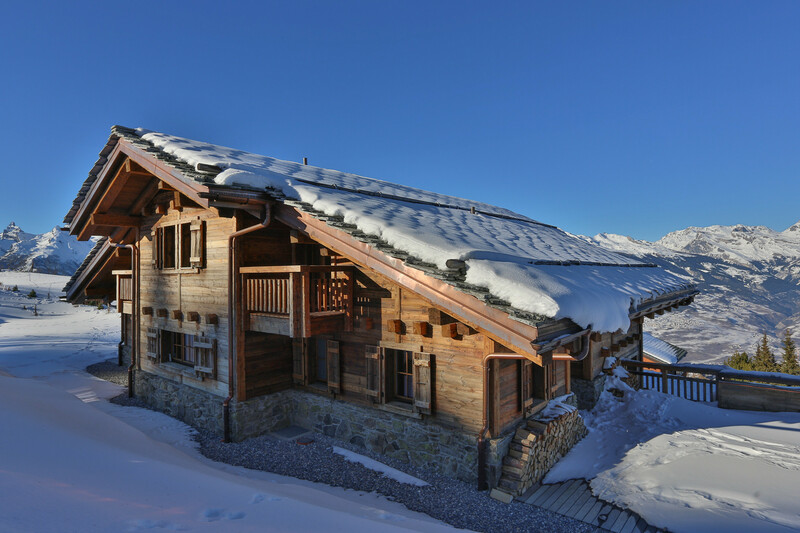 The chalet is generously sized with 7 bedrooms and bathrooms providing accommodation for up to 14 guests. Stunning design features and modern amenities perfectly compliment the traditional building. Open plan design, sizeable picture windows and stone fireplace combine to give a spacious yet welcoming and homely atmosphere. 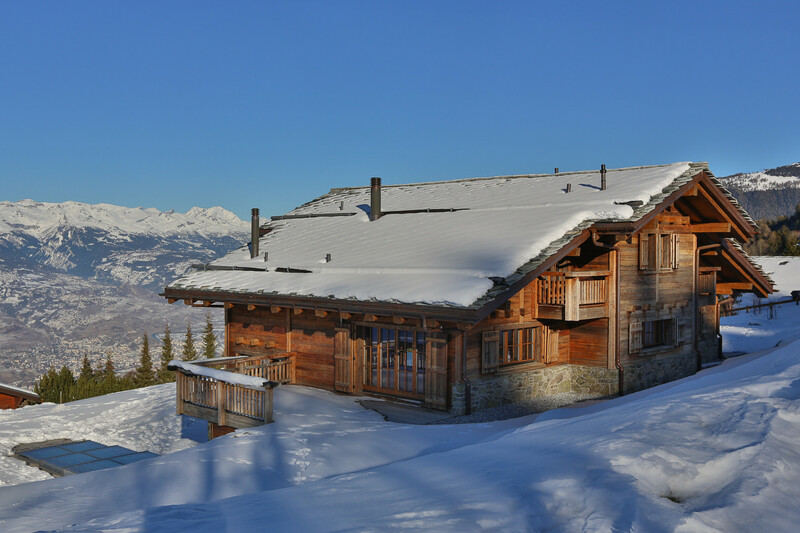 Chalet Adey is the ultimate indulgent haven for all to enjoy; family, friends and colleagues alike. Location: Private and quiet location. Sleeps 14 - 1 master suite, 6 en-suite doubles. Expansive living space spread over 2 mezzanine levels. 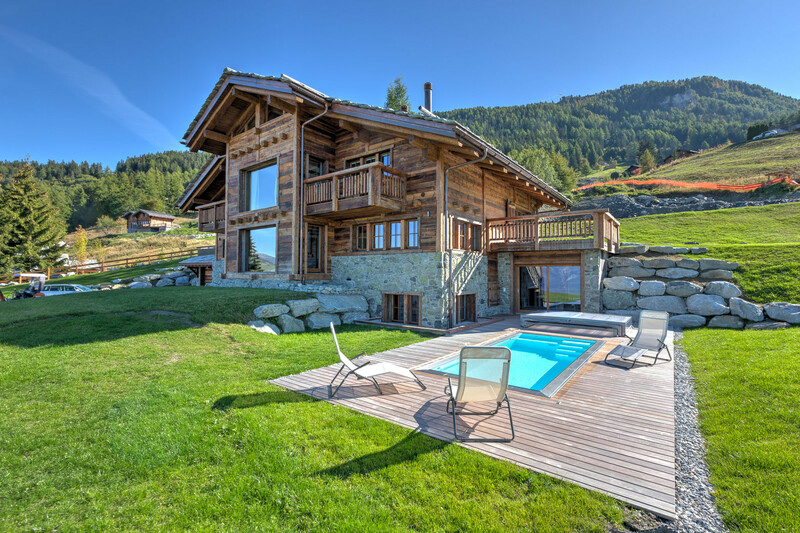 Private spa with 2 saunas, outdoor heated swim spa with counter current and well appointed fitness suite. Meeting room and well equipped office, perfect for corporate trips. 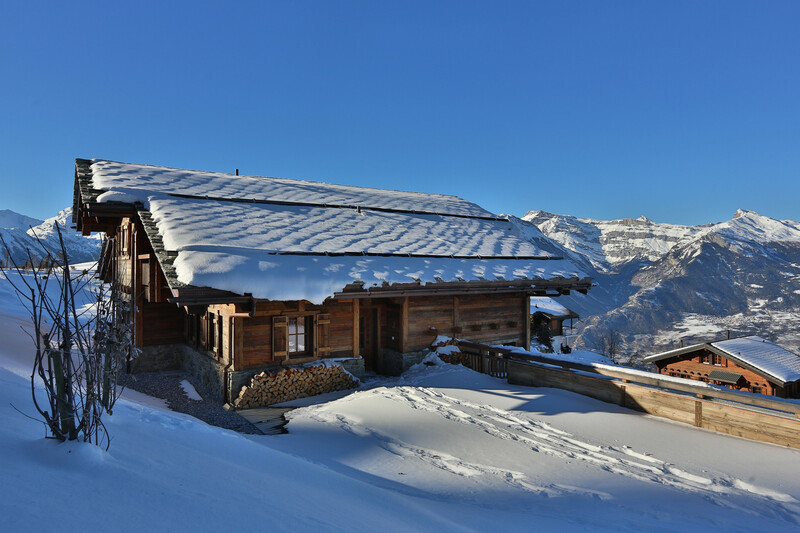 Services: – All beds are made up on arrival – Towels provided – bathrobes for adults – Mid-week cleaning included for week stays – Guests personally greeted by the property manager on arrival at the chalet. – Comprehensive care throughout stay. – Travel cot, baby gates and highchairs available on request at no extra charge. We can provide extra beds on request. All bedrooms have beds that can be placed as twin or double beds. Short stays - special events - business meetings - yoga retreats send us an email we are happy to coordinate. 14 Single beds, 1 Extra bed. 1 Bathroom with bathtub, 7 Bathrooms with shower, 1 Toilet, Hair dryer. 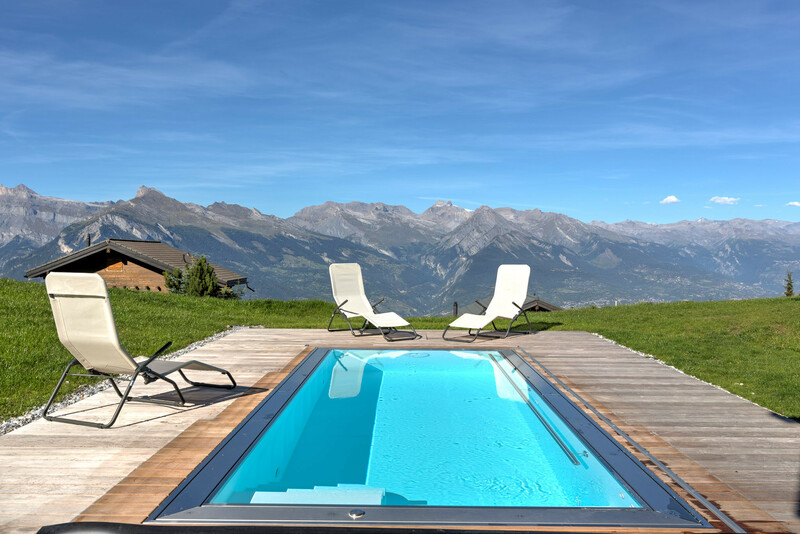 at the foot of the skiing-slopes, Mountain, Swimming pool, Skiing slopes. 1 TV, Stereo, DVD, garden, garden furniture, 50 m² terrace, barbecue, fireplace, iron, internet (Wi-Fi), hair dryer, balcony, gym / fitness centre, sauna, 500 m² property, private swimming pool, garage and car park (5 places) in the same building. 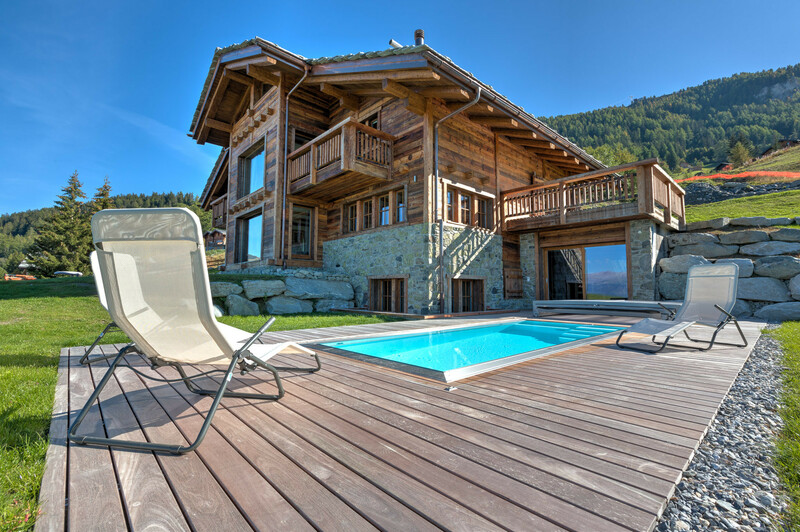 Amount: CHF3,000.00 /booking.Payment method: credit card hold.To be paid on site.